Choose from two temperature settings to suit any project. High temperature (380°F) is ideal for bonding wood, metal, plastic, and ceramic. Low temperature (250°F) is preferable for delicate materials such as lace, ribbon, floral foam, and lightweight fabrics. The ergonomic, easy squeeze trigger lets you dispense glue with less effort and hand fatigue. A removable wire stand is also included. 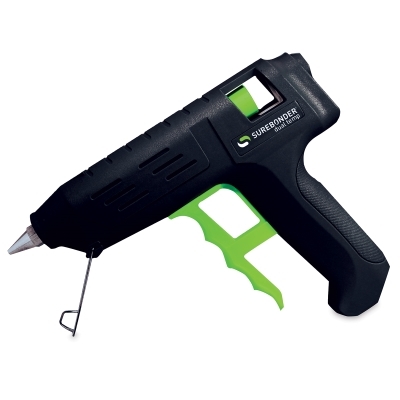 Use the Surebonder Professional Duel Temperature Glue Gun with standard 7/16" diameter glue sticks (sold separately).